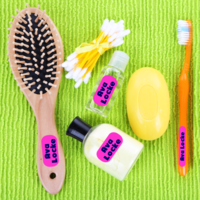 Label all your loved ones clothing, bedding, footwear, personal items and more in a care facility or nursing home. 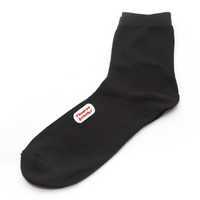 Clothing - Apply stick on labels to garment care tags, size tags and brand stamps. 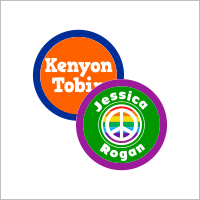 Apply iron on labels to any fabric. 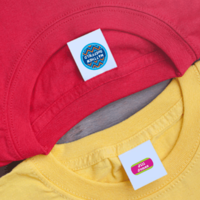 For Tagless clothing items use our permanent Iron On Labels. 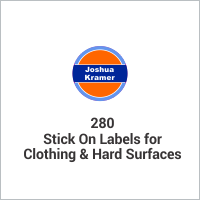 For Hard surfaces - all of our stick on labels will work. *RECOMMENDED BY FACILITIES & LOVED ONES ACROSS THE USA and CANADA! Here's what one of our customers said about our nursing home labels! 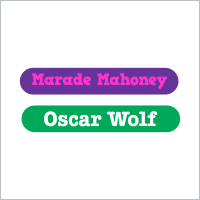 Nursing Home Labels - Stick On & Iron On Labels! 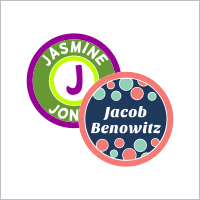 IdentaMe Labels nursing home labels are a great choice to label all of your loved ones things, especially their clothes. 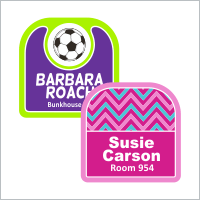 You can use both our stick on & iron on labels for nursing homes, as they are great as laundry labels for clothing. 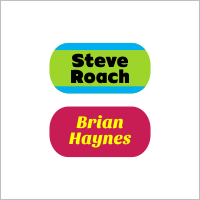 Our stick on, nursing home labels are made out of a thin vinyl that has an industrial strength adhesive on the back so they'll stay stuck. 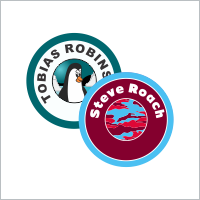 Our waterproof waterproof labels are made with non-toxic inks and are laminated to make them extra durable. 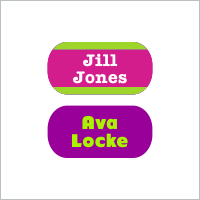 Our nursing home labels are waterproof, weatherproof and dishwasher safe making them perfect for everything with a hard surface like water bottles, food containers, tools, electronics just to name a few. 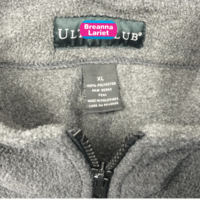 Our nursing home labels for clothing can be a permanent label solution. 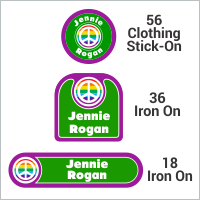 We also have a few bigger sizes of iron on labels so if you're worried about the readability of the laundry label, the bigger iron on labels are the way to go. 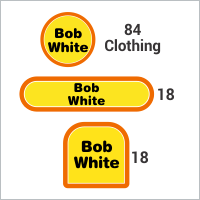 Create your own unique nursing home custom product labels and laundry tags using our Design Center. Feel free to contact us with questions, or if you'd like to order by phone you can call us at (315) 627-0524.